Welcome to Bear Cub Cave! Art, letters, numbers, shapes, concepts, explore, explore, explore! Preschool is about questions, answers and imagination. We turn their natural curiosity into learning at every turn. We embrace each child’s interests to help them experience a real joy in learning. 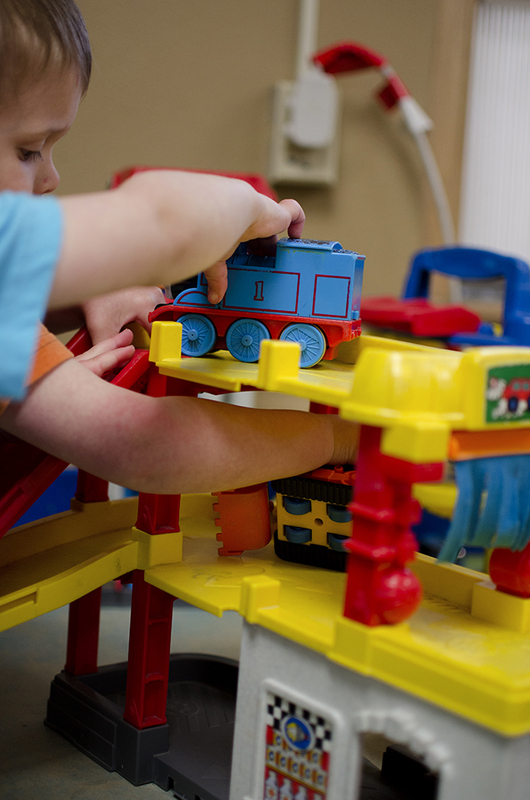 Using a cross between play-based and Montessori style instruction, your child will grow leaps and bounds. Meals are served family style to practice sharing and good table manners. They will work on science, language, math, conceptual and concrete skills. They’ll have so much fun they won’t even realize they are actively learning. What they will know is pride in their accomplishments and a growing sense of their own unique and special qualities. We make sure each child has an opportunity to soar. Weekly music class with Ms. Jenny with Growing with Music: a lively, hands-on music experience tailored to the needs of each classroom. The multiple play areas will spark your preschooler's imagination. New ideas and opportunities for learning are created each day. Science, art, music, reading, make-believe and more all have a home in our preschool classroom.